POMEROY — The family of Gary G. Lee is proud to announce the establishment of the Gary G. Lee Memorial Scholarship Fund. Gary passed away Oct. 16, 2017, and his last wishes included the establishment of a scholarship fund to provide financial assistance to students seeking post-secondary education, whose permanent residence is in Bedford Township, or was in Bedford Township, when they graduated from high school. This scholarship is available not only for 2019 high school graduates, but for any Bedford Township resident enrolled in a post-secondary program. Gary was born Aug. 28, 1935, an only child to his parents, Glenn and Edna Riggs Lee. He was born in the family home in Bedford Township, where he then lived his entire life. Gary graduated from Pomeroy High School in 1954. He served in the United States Army from 1958-1960, spending the duration of his enlistment stationed at Fort Knox, Kentucky, as a tank driver. Gary was a longtime member of the International Union of Bricklayers and Allied Craft Workers, and worked many years for the Knowlton Construction Company. Gary was an avid card player and enjoyed motorsports. Gary knew the importance of receiving an education, as his mother was a teacher and lifelong educator. 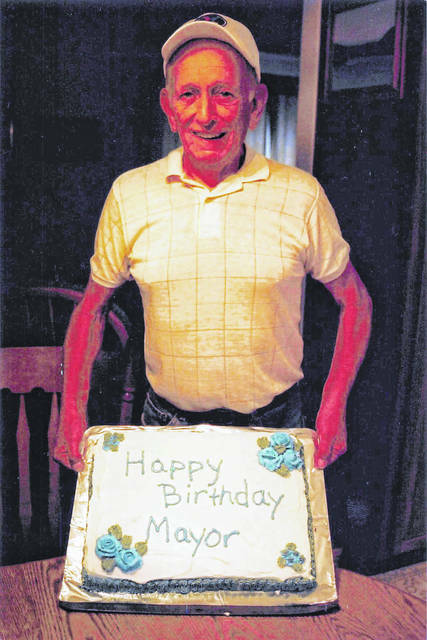 He lived his entire life in Bedford Township and was affectionately known as the “Mayor of Darwin”, because he cared greatly for the community and his extended family. As such, Gary’s longtime plans were to provide a posthumous gift to provide financial assistance to residents of Bedford Township seeking post-secondary education, and the better life that comes along with higher education. Prospective candidates for scholarship funds must complete an application and submit the same to the selection committee. Applications may be picked up from the guidance counselors at local high schools, at the law firm of Little, Sheets & Barr in Pomeroy, or at the office of Judge Linda R. Warner of the Meigs County Common Pleas Court. Applications must be received no later than May 10, 2019, at the above mentioned offices, or may be mailed to the following: Gary G. Lee Memorial Scholarship Fund, C/O: Marge Barr, 39186 Hemlock Grove Road, Pomeroy, Ohio 45769. Information provided by Mick Barr.